NEW ORLEANS, La. -- Here's a cute family photo we just had to share. Anna is 95-years-old. Collette just turned 9-months-old. But age is just a number, and it's not something that's stopping Anna from teaching her great granddaughter a thing or two. 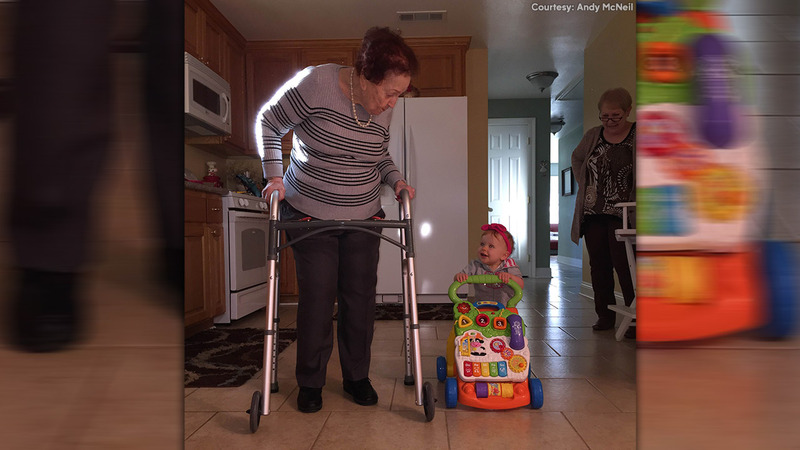 Family members tell abc13 in this photo, Anna was helping show Collette how to walk! The expression on Collette's face just tells it all. The photo was taken at their home in the New Orleans, Louisiana area.